"Ready to Paint" finish. Wood is 3/8/ inches thick. 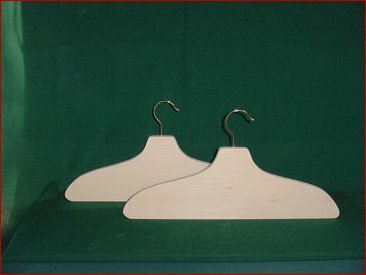 Standard Coat hangar size. Sold Individually.